Is $299 too expensive for gamers to handle? We've known about the Wii U's pricing for a while now, and while many gamers have weighed in - either positively or negatively - and moved on, Ubisoft CEO Yves Guillemot isn't quite over it yet. Speaking with GamesIndustry International, Guillemot was rather vocal about his displeasure that the console will launch at $299. "I always prefer lower pricing, so I can't say I'm happy," Guillemot says. "I'm never happy when the machines are expensive. What we have to do there is remember that compared to an iPad, it's cheap. With what it brings [to gaming] it's cheap. But I hope they'll be able to drop their price in time." As the first home console of the eighth generation, the Wii U will stand alone as the most expensive system this shopping season. Whether Nintendo's new box offers a good value proposition for gamers is up for debate, but given that both the Xbox 360 and PlayStation 3 launched at significantly higher price points, it's interesting that the Ubisoft boss is displeased with the Wii U's asking price. The argument, of course, is that many see the Wii U as simply "catching up" to what the Xbox 360 and PlayStation 3 have been offering for years, but the same pricing argument could probably be levied against several other companies, including Ubisoft. 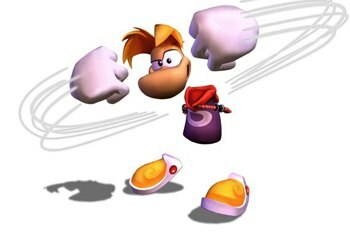 For example, Ubisoft has re-released Rayman 2 for four consecutive generations now. The most recent re-release arrived for the Nintendo 3DS in 2011, a full decade after the original, for a whopping $39.99. So if we're talking about an "old" product - or been-there-done-that technology - being priced too high, perspective means a lot.